TEETHING hit us very early on when the little man’s first tooth came through at 3 months old! 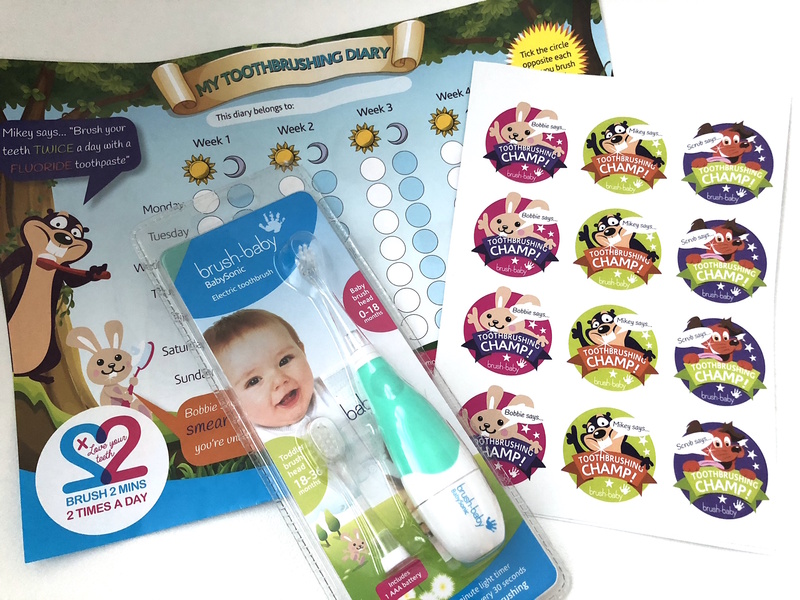 We had a few products that really helped us with the early teething journey, which can be found in one of my earlier blog posts. One of those products was the Brush-baby teether which we ended up using for absolutely ages! It was great because it was easy to hold, transport with us wherever we went, and washable. We’re now at the stage where we just have the back molars left to come through, and I can’t wait for it all to end! We started off brushing with the Brush-baby Firstbrush set, which was brilliant due to the soft bristles, and a year later, we are back with the brand, on the next step of our journey. For the last year, brushing has been a challenge. We tried to incorporate it into the bedtime routine to start off with, so before bathtime would be teeth brushing time. But, all he has been interested in for a long time is sucking the toothpaste off the toothbrush – sound familiar to anyone? 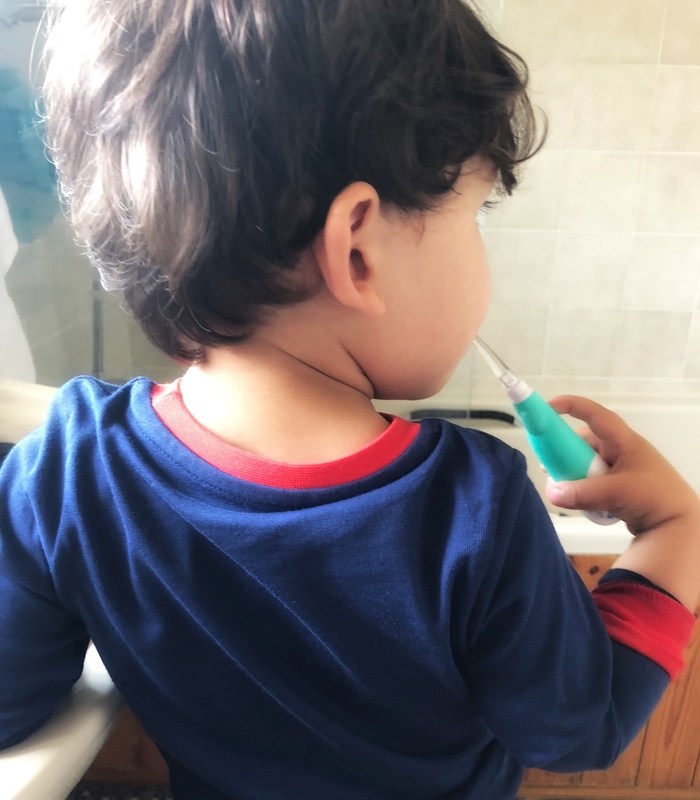 BUT, since he hit about 20 months, we started to see progress as he was asking to brush his teeth in the morning when he saw mummy and daddy brush theirs, and then at bathtime. This was a bit of a milestone for us, but we still went through the days where he wanted to do it all himself and didn’t want us to help at all (which obviously meant toothpaste being sucked off the toothbrush and NO actual brushing). In the last few weeks we have got a stool from Ikea so he can brush standing over the sink like we do, and he now allows us to brush his teeth a little better, although when he’s tired, it can be a bit of a battle to say the least! We try not to give in and make sure we are insistent – although sometimes this does mean playing mummy and daddy off against each other. He’s also paying much more attention to HOW we brush our teeth, and has an obsession with our electric toothbrushes (I found him trying to use mine!). And that’s where Brush-baby have come to save the day again. 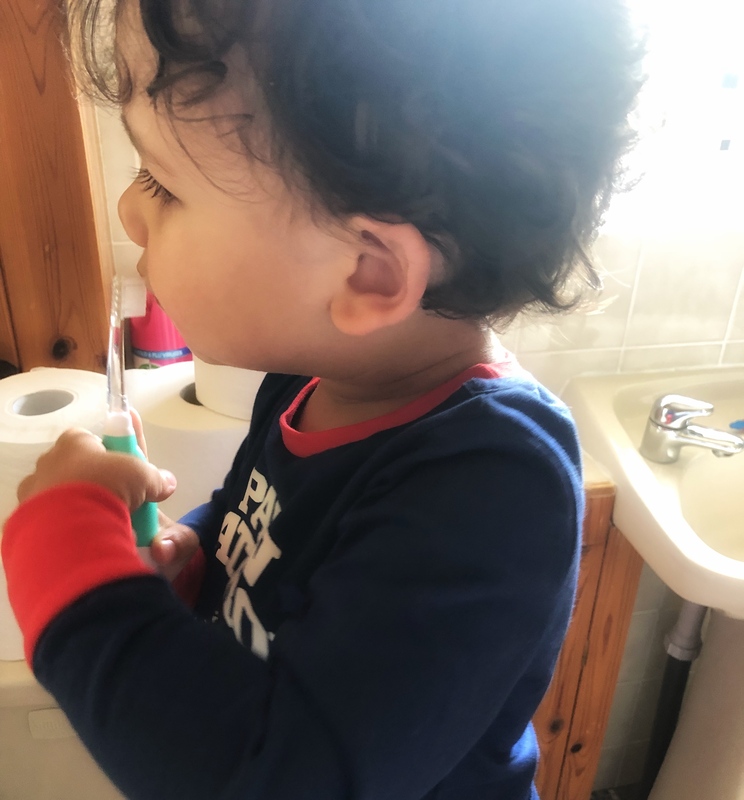 The great team sent me their BabySonic electric toothbrush to try, and after a few days of getting used to it – he loves it. The first few days he was a bit unsure, as he was little put off by the vibrations on his teeth. We put him at ease by showing him that ours did exactly the same thing. The BabySonic toothbrush is specifically designed for baby and toddler teeth, and has 2 different heads in the pack for you to pick from (depending on the age of the child) – and has some great features which i’m looking forward to trying more of over the next 6 months as his understanding (and tolerance) improves. The brush vibrations are for 30 seconds each, for a total of 2 minutes – which is great for encouraging good habits when it comes to toothbrushing. We’re currently nowhere near that, and he normally lets me brush for 10 seconds per quarter……… i’m sure I can build that up with time, and as his patience increases. The brush is even more appealing for toddlers, as one of the features is that the head of the brush also lights up – which is what first caught the little mans interest. It’s really important to us that he develops good brushing habits, so we have tried to encourage brushing twice daily from very early on. As well as that, we are trying hard to not give him any sugar – so cakes and chocolate are banned for now! As he gets older i’m looking forward to using reward charts and stickers to encourage good habits, and I think this will help motivate him too. I think it’ll be a good few months before the charts start working for him though – but I know he’s going to love getting stickers as rewards. Therefore, for now, it’s all about trying to increase the length of time he’ll let me brush his teeth for!! 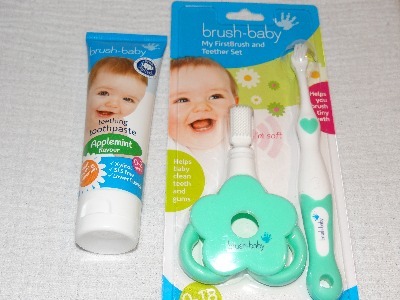 I was gifted the BabySonic toothbrush by the team at Brush-Baby, but all opinions are my own.